iPhone 8 release date: September 2017 or 2018? iPhone Pro Price prediction: according to history price, new design/specs/storage etc. 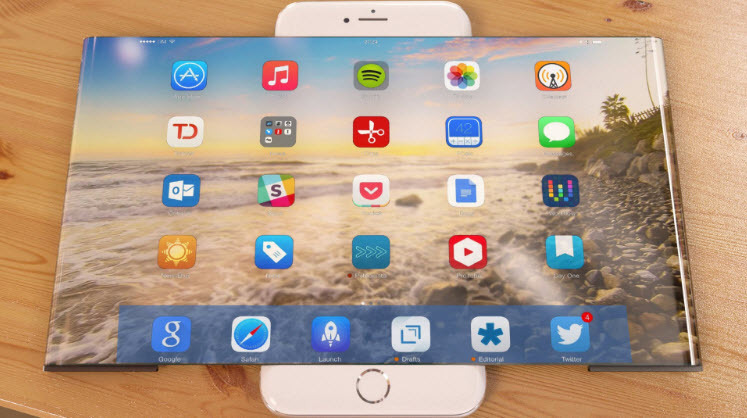 \Since the iPhone 6 plus dropped, the rumor mill and internet technology gossip has been going agog with rumor after rumor on the direction Apple is going to take the iPhone 8. Google searches are filled with people searching for the latest news and rumor. People want to know the new features after the iPhone 6 and 6 plus had camera upgrades; they also had other features such as the 3D Touch, a stronger form and better Touch ID recognition. Not to look further, we have compiled the hottest rumors about iPhone 8 concept to get the Apple fan out of you. This iPhone 8 concept is totally unexpected and feels somewhat futuristic and that’s what makes it awesome. This concept is designed on a retractable screen that can extend and make a screen as wide as the screen of the iPad mini. All you have to do is to tap a button at the bottom of the phone where the charging port would normal be, and the screen stretches. Because of the need for the screen to stretch, the side buttons have been removed, and replaced with the touch-screen option where they would normally be. This adds a sort of oomph to the design. This also means the center button is also not included in this design. 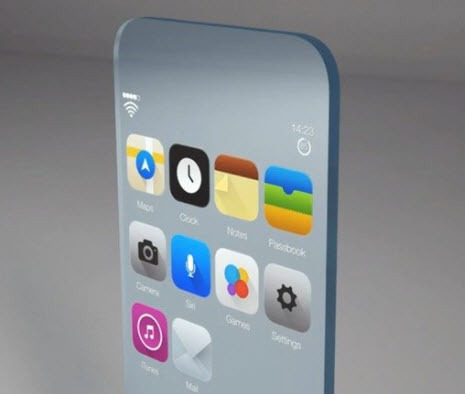 But if this concept were to become a reality make sure your pockets are wide enough should you mistakenly press the widescreen button. This is an iPhone 8 concept that totally seems let field because of the Samsung connections. It has been touted that Samsung will be supplying Apple OLED screens. Although this is not the first time they will be using Samsung products, just that the main feature will be from Samsung. OLED screens will definitely bring high quality display and make the iPhone 8 brighter than its predecessors. This will also have an impact on the battery power as OLED screens use less power than LCD screens. Apart from the glaring effect this will have on Touch ID recognition for the device, Apple could be set for a very strong launch as their numerous fans await the iPhone. 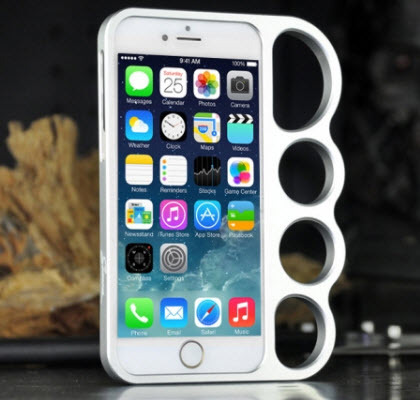 There are strong indications that Apple is holding on to go big – very big. 2017 coincides with the 10-year anniversary of the iPhone. So analyst and Apple lovers have been claiming the iPhone 8 might not offer much in terms of improvements from the iPhone 6 or the iPhone 6 plus. With OLED rumored to be coming, it is also rumored that starting from iPhone 8 plus, that there won’t be the “Home” button anymore. With batted breath, we all wait to see what has been under Apple’s hand. In this rumored iPhone 8 concept, it is suggested that Apple will dispel with the traditional home button and replace it with a 3D touch button that can become anything. 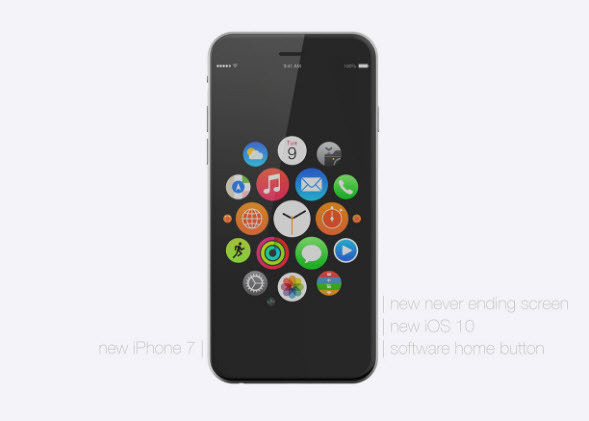 From your picture, to Apple logo, to having the look of the home button, to just about anything you want it to be. This concept is also rumored to have the 4k 3D touch display which is quite a leap from the current spec on the iPhone 6 and iPhone 6 plus. With the powerful combination of hardware and software needed to complete such a design, the skeptics are out against this design. 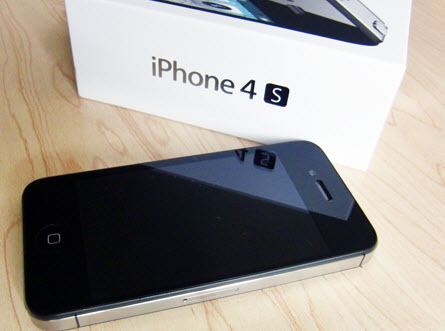 It is widely acclaimed that the iPhone 4S is the best iPhone ever, although that is opened for debate. It is therefore rumored that Apple is considering going back to a design that served them well – albeit with different tweaks and extra features. This features that will be added include a 2.5D Sapphire Glass on the screen, a QHD retina display, the new Apple A10 chip, a metal frame, and a 16MP iSight camera. This rumored iPhone 8 concept also features wireless charging through the use of the Apple Dock – a new technology to connect your apple devices to your PC. It’s hard to imagine an Apple product coming in full aluminium casing, but the rumor mills have definitely pushed out this one nonetheless. Along with this iPhone 8 concept, the following features are attached: a retina display 3, 3000mAh battery, touch ID logo in the place of the home button, 24MP camera at the rear only and the use of widgets to control actions. The charging port is also similar to the one found on Mac. With also the added feature of adding a lens to the camera, iPhone photo lovers will have more reason to buy this iPhone 8 – if it were true though. Some of the rumors about iPhone 8 concept have inspired great concept videos on Youtube. One of such is the video below. In this video, the iPhone 8 is fully glassware with futuristic and intelligent features. No buttons, but what you have is a fast, aware, dynamic, intelligent, and magical; all apt words for the futuristic look and intrinsic design of the concept. While such a technology is still far off, if at all possible. It only goes to show the limited possibilities there can be with the expected design of the iPhone 8. But no matter what features the new iPhone 8 has, make sure that you use iMyfone Umate iPhone Cleaner to manage the storage of your phone to ensure that you are well-aware of all the content stored in your phone and easily eliminate the things that you don’t need.